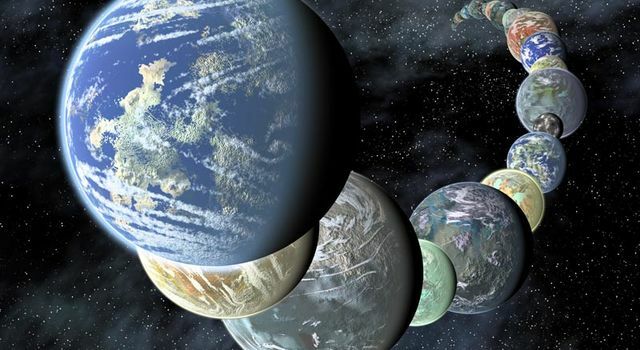 Order can be found in the most unexpected places, as demonstrated by our neighbor three planets down. Two of Saturn's rings have been found by NASA's Cassini spacecraft to contain orderly lines of densely grouped, boulder-size icy particles that extend outward across the rings like ripples from a rock dropped in a calm pond. "Imagine going to a town that stretches from San Francisco to Los Angeles and seeing buildings spaced the same distance apart on every block," said Cassini radio science team member Essam Marouf of San Jose State University, San Jose, Calif. "All of these groups of particles within the rings are very close together, and the space between them is extremely small, only 100 to 250 meters (320 feet to 820 feet) wide, depending on where they are in the ring." Normally, the distances between particles change with their velocity. 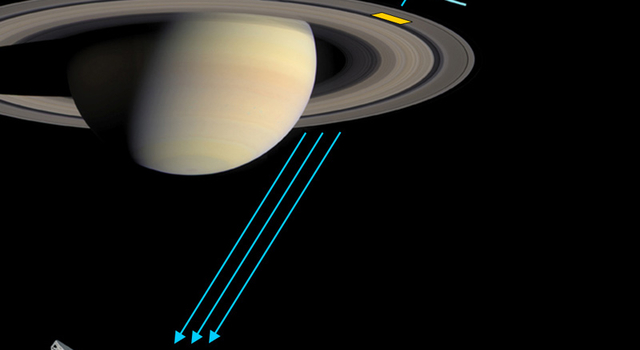 In the case of Saturn's rings, the distances between these ring particles stay relatively equal even though their velocities may change. This type of pattern is completely new, according to Marouf. "This particular feature is the smallest and most detailed of anything seen in Saturn's rings so far," Marouf said. "In the chaotic environment of the rings, to find such regularity in the most cramped areas is nothing short of amazing." The regular structure can only be found in locations where particles are densely packed together, such as the B ring and the innermost part of the A ring. The unexpected pattern within Saturn's rings may give scientists some new ideas of what to expect from other similar planets and solar systems. The pattern was detected when the radio on board the Cassini spacecraft sent out three signals toward Earth. 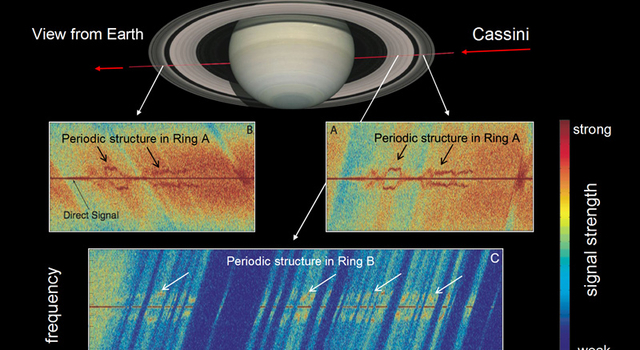 The signals crossed the Saturn's rings, and their frequencies were separated by scattering from the ring particles. 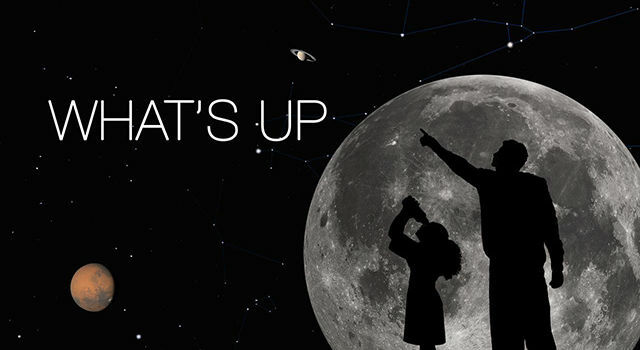 Once the signals were captured by Earth-based antennas of NASA's Deep Space Network, Cassini scientists saw a regular pattern in the received signal frequencies. "The signals showed that the particle groups were arranged in an unexpectedly regular formation that had ‘rhythm within the rings of Saturn,'" said Marouf. "Each particle is in its own orbit, and sometimes they collide and move apart as their velocities change. As a result, you have particles bunched together into dense groups that extend across the ring in harmony with each other." The pattern of particles is described as an enormously extended natural diffraction grating. A diffraction grating has parallel lines like a picket fence; when light hits this fence, it separates according to wavelength, from ultraviolet to infrared light. The same thing happened when Cassini's radio signals hit the fencelike pattern of ring particles. The signals, sent out in 2005, were meant to capture a complete view of the rings. This research appears as a cover story in the Dec. 28 issue of Geophysical Research Letters.